As one of my clients once put it, “Men also need to be romanced”. It’s true. We do love when our beautiful girlfriends come up with ways to surprise us. So, if you’re looking to surprise your boyfriend in Prague, I’m gonna tell you about just the right way to do this! 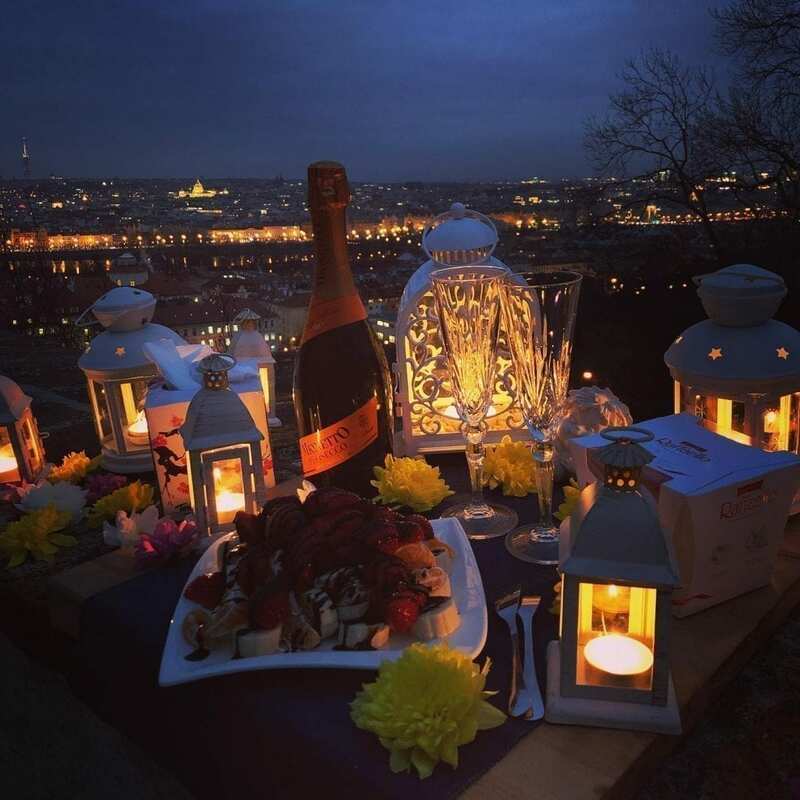 There are tons of things to surprise your boyfriend in Prague with. Going to a nice romantic restaurant with a view is only one of them. 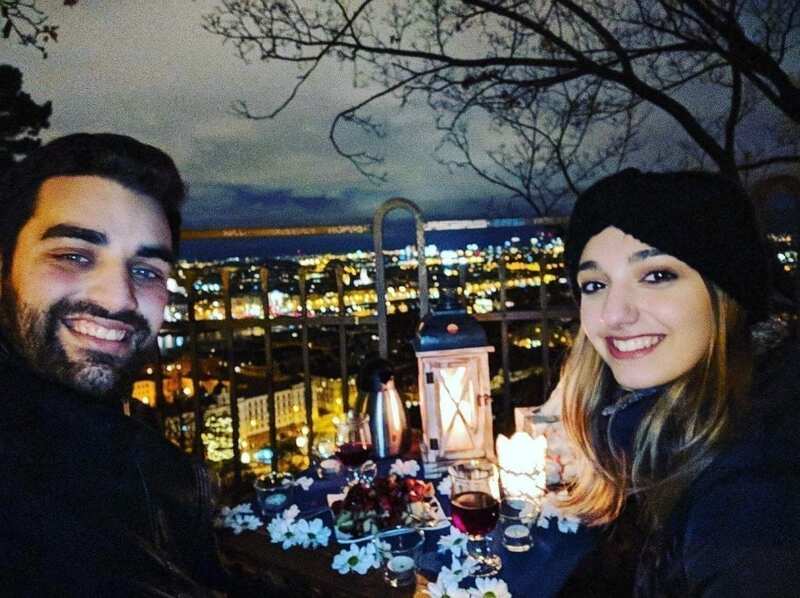 You can lock your love at the Lovelock bridge, go to the TV tower and have dinner at the restaurant up there, or just simply walk around the city and enjoy it holding your boyfriend’s hands. 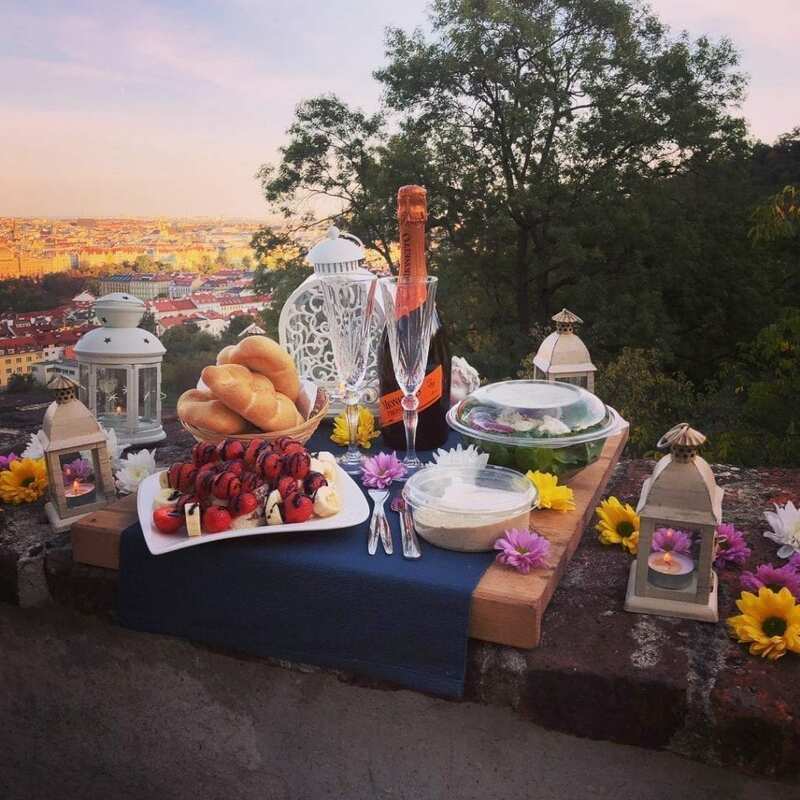 But the most romantic and extraordinary thing you can surprise your boyfriend in Prague with would be walking through a park and stumbling upon a table set up just for the two of you. 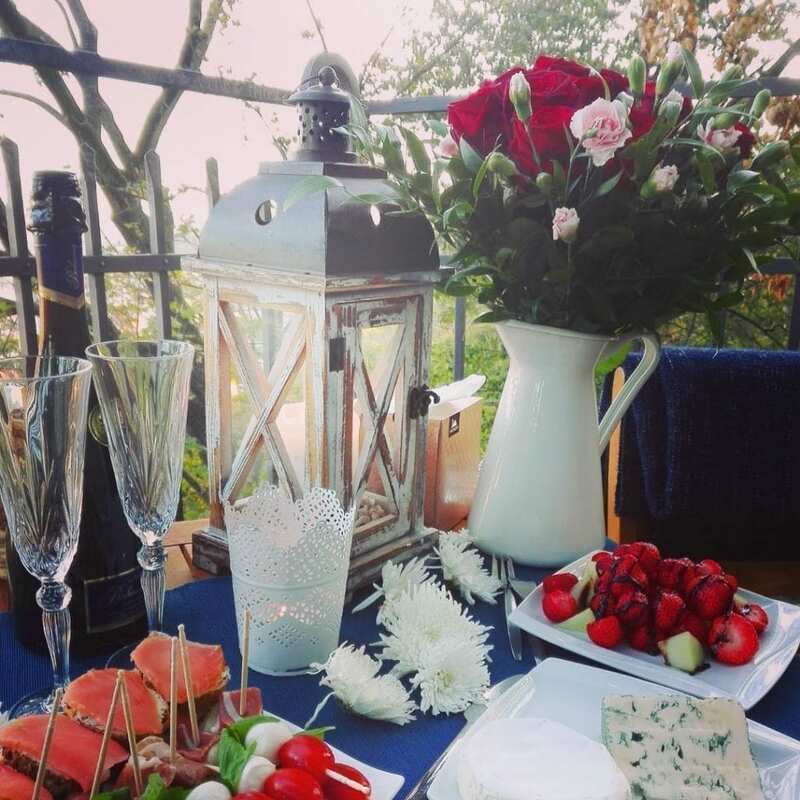 Whether it is his birthday, some important date in your relationship, or if you just want to let him know how much you love him – it is still going to be an evening he will never forget! Simply because it’s not every day his girlfriend gets to pull off something as wonderful and unique. Prague for Two is a surefire way to surprise your boyfriend in Prague without him having even the slightest idea you’re planning something. All it takes is a couple of emails or WhatsApp messages. We don’t have to meet, you don’t have to go anywhere to pick anything up. You will always remain at his side, so the surprise will never be ruined. And he will never guess how you managed to pull it off without him knowing it. 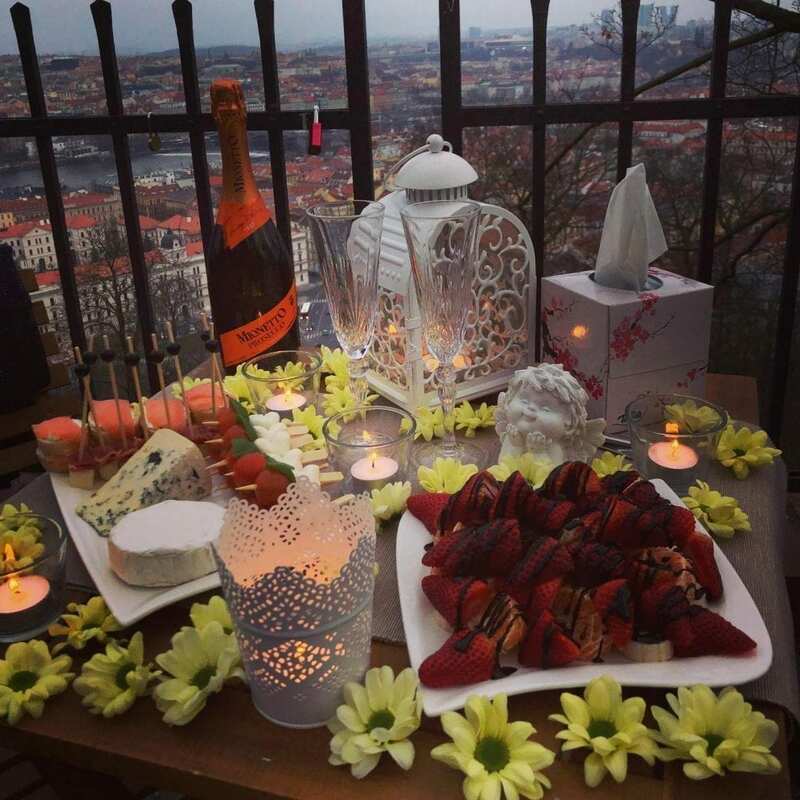 The only thing you need to do to surprise your boyfriend in Prague with an amazing romantic evening is to contact me. I’ll respond with some menu options and the details about the location. Choose the menu option, pay the invoice through PayPal, and we’re good to go. All that can be done in a matter of minutes, and even if you want the surprise to be on the same day – I only need a couple of hours to prepare it. So, press that WhatsApp icon below, or go to the contact page, and send me an email. I will respond within minutes, and it’s gonna be the easiest surprise you have ever had to prepare for your boyfriend.